The port Camille RAYON has maintained its “Pavillon Bleu” status for over 20 years and has obtained the label “Ports Propres” on the 18th of September 2018. The protection of the environment is a major concern for the port. The sea is a precious resource and your eco-attitude is essential. Any discharge in the harbour is strictly forbidden. The old port of Golfe Juan (CCI) has a waste water pumping station (black and grey water) for boats up to 24 meters (located next to the fuel station). For boats over 24 meters contact the harbour master’s office to obtain specialised companies phone numbers. Pick up plastic bags floating in the water as protected species swallow them and choke on them. Sort out all types of waste and put them in the right containers. In port try to use the port facilities to do your washing up near the public toilets. At the entrance of all quays: Ashtray for the recycling of cigarette ends. 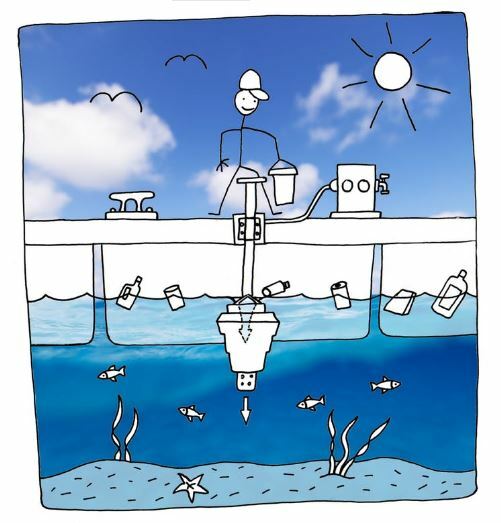 In February 2018, the port put into place 2 “Seabins”, new and pro-environmental floating waste collectors! We remind you that the maximal speed in the port is 3 knots and that is forbidden to go fishing or to swim in the port.